Although Halloween is close and the urge to wear crazy costumes and trick or treat for delicious candies is calling our name, we decided to dress up a little early for an even better cause. 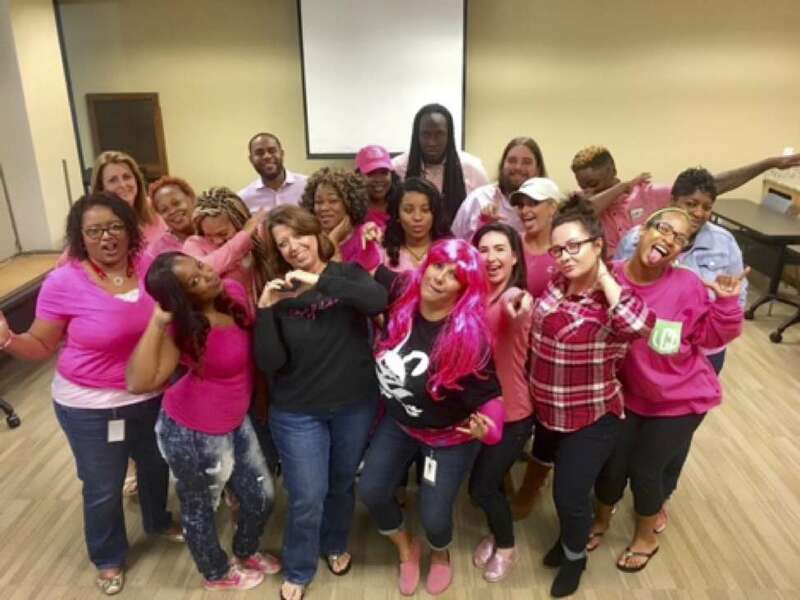 To commemorate October as Breast Cancer Awareness Month, October 28th, 2016, LendingPoint Office staff participated in the “Dress for the Cause Day”. Our outstanding staff wore pink and offered free coffee, tea and baked goodies to anyone who came into the office and supported the pink pride cause. One of LendingPoint’s participants who works in the collections department, Jessica Campos, boldly stated, “I dressed for the cause, because I am a strong advocate for Breast Cancer Awareness and that’s why I decided to go all out today”. Jessica wore her neon pink wig to demonstrate just that! According to the CDC, Each year in the United States, more than 200,000 women get breast cancer and more than 40,000 women die from the disease. Men also get breast cancer, but it is not very common, as than 1% of breast cancers occur in men. Most breast cancers are found in women who are 50 years old or older, but breast cancer also affects younger women. About 10% of all new cases of breast cancer in the United States are found in women younger than 45 years of age and that is why we’re taking a stand to raise awareness. If you have any questions about how to get tested, what testing includes, and where to go check out healthfinder.gov. If you have ever been affected by Breast Cancer, then you know just how important it is that we stand to make a difference. If you would like to donate to the cause and help save lives, just fill out this form.